St. Patrick's day is Friday and everyone is gearing up for the festive holiday. 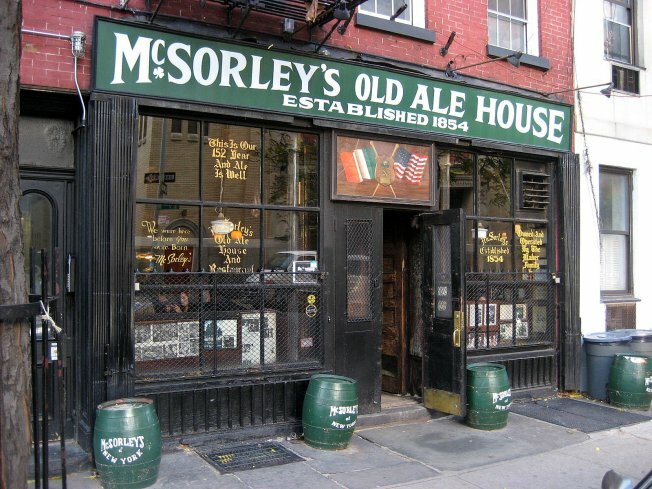 Whether you are heading to the St. Patrick's Day Parade or just looking to revel in the festivities at a local bar, here is a look at some great St. Patrick's Day deals in New York and New Jersey. Code Lounge Bar is hosting a St. Patrick's Day party. The nigh'st festivities include free hookah for ladies until 1 p.m., according to their Facebook page, $8 pickleback shots and $5 mixed drinks for all. The event is free admission. Turtle Bay is offering a $15 "Green Eggs and Hammered" brunch. Admission to the event includes a traditional Irish brunch and two drinks of your choice. They are serving up $3 Guinness, $4 Jameson shots and $5 Irish car bombs. The first 100 people to inside get a free Jager shot. Calico Jack's Cantina is also hosting an irresitable brunch special. Tickets to their "Kegs and Eggs" breakfast is $25. They will also have an open bar from 10 a.m. -1 p.m.
Monarch Rooftop will also be serving drink specials on St. Patrick's Day. Doors open at 5 p.m. Diners can expect deals on Jameson, pickleback shots and Irish car bombs. Monarch Rooftop is offering complimentary shots for ladies wearing green. Madison Tavern is serving 2 for 1 drinks, $6 draft beers and $8 Jameson shots from 12-6 p.m. The party doesn't end until 11 p.m. The Irish Pub has a wide range of foods to munch on from pizza and sliders to salads and Irish classics. Taste their green beer and snag their drink specials throughout the day. Click here to stay updated on their drink specials. Hoboken St Patrick's Day Pub Crawl 2017 will be filled with lucky deals. Tickets to the bar crawl include drink specials, which include $3 draft beers, $4 domestic bottles $5 well drinks and more. Wicked Wolf Tavern is the perfect place to celebrate both St. Patrick's Day and March Madness. There will be $3 Guinness, Sam Adams drafts and Coors Light, $6 Irish car bombs and 25-cent wings. Mills has happy hour every Friday from 4-8 p.m. Specials include $2 off all drafts, $4 well drinks and $6 Stoli drinks. Green Rock is cooking up $7 lunch specials from 11 a.m. until 4 p.m. and $1 domestic mugs from 5-8 p.m.